* Just preparing a contract for a deal the parties have already negotiated? * Negotiating for your party? * Processing the contract to closing: Getting and delivering HOA and due diligence docs, arranging/managing inspections, and other experts (contractors, etc.)? * Title commitment ordering and review? * Review or preparation of closing documents and deeds? If you are not a member of the EPCBA, please bring a $10 check payable to the El Paso County Bar Association to defray expenses. 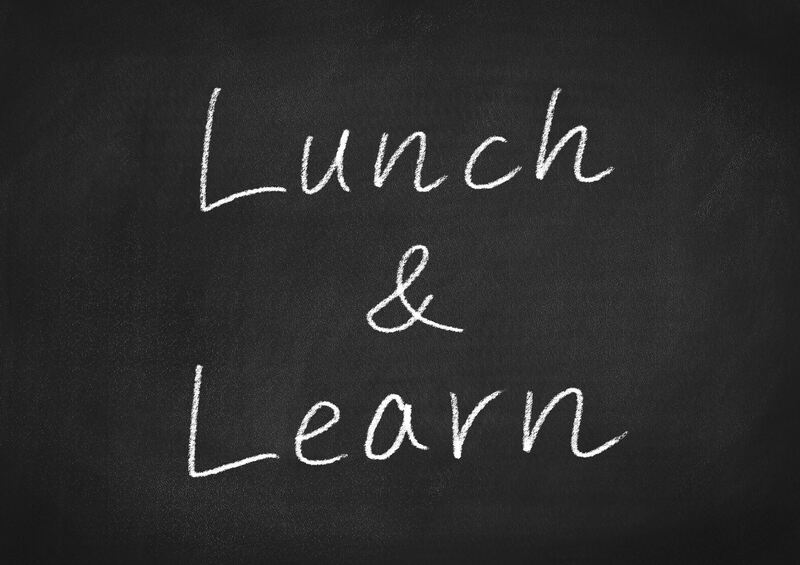 The program, which is almost always an accredited CLE program, starts at 12:00 and ends by 1:00. Full Jack Quinn's menu is available. Individual checks. Free All-Day Family Law Legal Clinic! Attendees: receive FREE one-on-one legal advice from family law attorneys during an ask-a-lawyer consultation clinic! There are also FREE information sessions taught by attorneys, judges, and other legal professionals regarding specific family law issues. 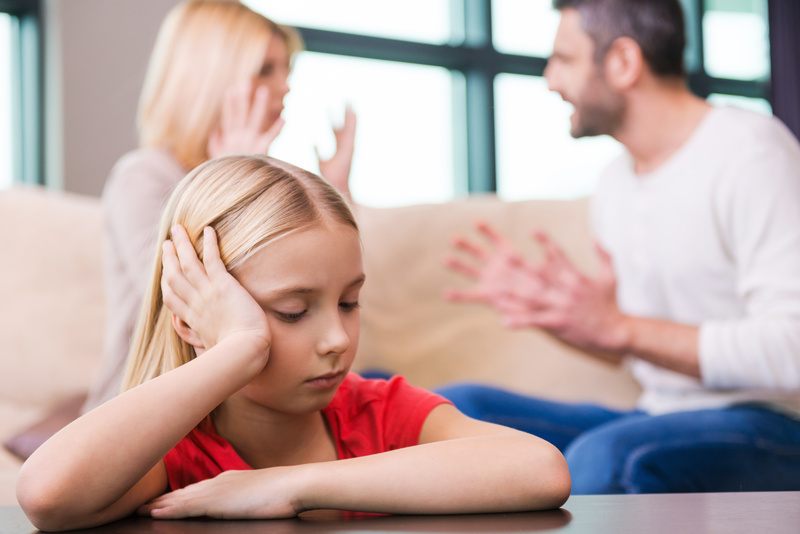 Attendees may also be eligible to receive assistance with finalizing their uncontested divorce. History: The 2018 iteration, the second annual Family Law Day in the Pikes Peak region, served over 90 clients at just the ask-a-lawyer portion of the event. At both the 2017 and 2018 versions of Family Law Day, attorneys, paralegals, and other legal professionals have donated over $20,000 worth of legal expertise and assistance to attendees. 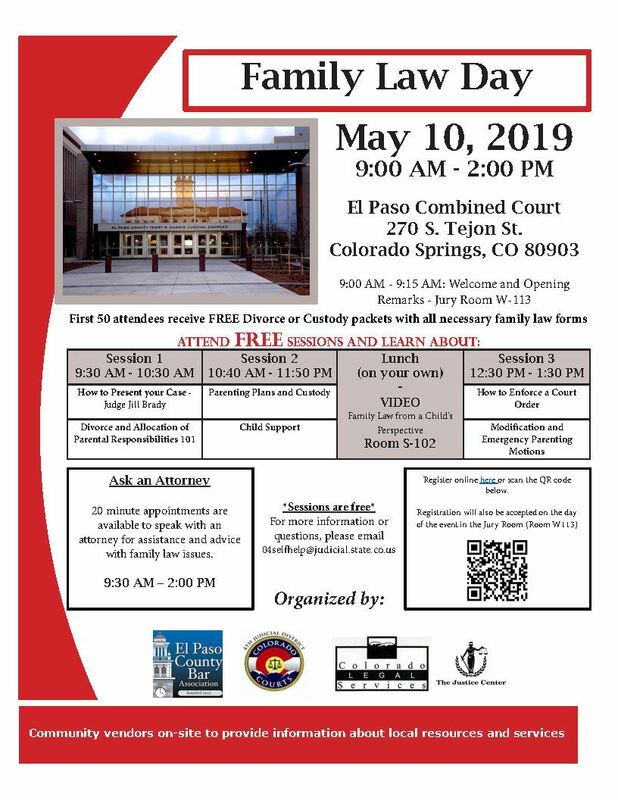 Organizers: Family Law Day is an event free to the public put on by The Justice Center, Colorado Legal Services, the Family Law Section of the El Paso County Bar Association, and the Fourth Judicial District. Join our legal community as we do our part to continue rehabbing the Waldo Canyon Fire burn area. This year's project will take place at the Flying W Ranch in Colorado Springs. Lunch and snacks will be provided. Overseeing this project is expensive - we spent over $1000 on supervision from the Coalition for the Upper South Platte last year. Help us defray some of the material costs of seedlings and expenses for this project associated with having Coalition of the Upper South Platte staff members lead our work.